Why is there no Wild Boar camera this season? 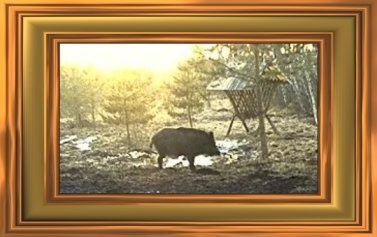 As we all know, Ilmatsalu, the location of the boar webcam, belongs to the area with a heightened risk of the African Swine Fever, ASF. In all boar feeding places the weekly food ration is limited and hunters have an obligation to hunt at these feeding grounds.. Together with Mait Siimson and the Ilmatsalu hunters we decided that boars will not be fed in the web camera location and hunting will not take place. If the infection risk might decrease, there will be at least one place where the wild animals know that they will not be hunted (in conservation areas they have very clearly realized this). So, this season we will not have a Forest, or Wild Boar, camera. 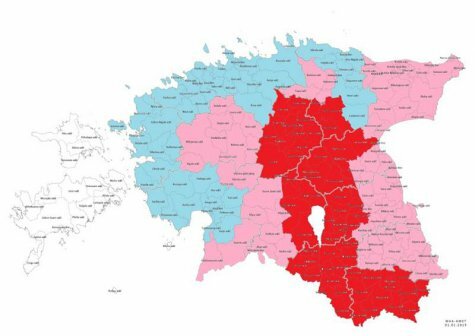 The areas with the highest AFS infection are marked in red. As we can see only the islands are free from the infection.